It’s hard to find the ideal gift for that special birthday. At Kennels Cottage you just might have found the perfect solution, something completely different and totally memorable, The Mini Tour of Scotland Package. If you were born in the 1980’s our fleet of classic cars will evoke memories of a lifestyle and times you have only heard or read about. The swinging sixties, a time when roads were quiet and cars needed to be driven and life was about as colourful as it could get. Driving a classic car is a totally different experience, the roar of the engine, the quirky features; the stylish design that makes people look and smile. 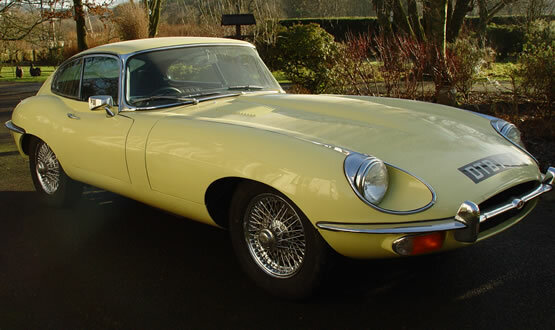 You will be amazed at people’s friendly and interested reaction when you pull up in a classic car. Scotland is the perfect country for driving a classic car, open roads, spectacular countryside, and no traffic jams. The most stress free time you will have spent in ages. We are easy to get to 40 minutes away from Edinburgh Airport, 1 hr away from Glasgow Airport. We can organise taxi transfers at preferential rates and organise dinner reservations. All you need to do is arrive and we’ll do the rest.